I was invited to dinner yesterday, and I was asked to bring a red wine. As the main course was roast of veal with balsamic reduction, I found a Spanish wine to be the best choice. 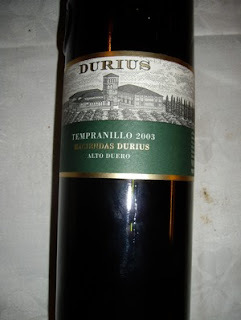 I picked a bottle of Durius Tempranillo 2003/2004, and I did not regret it. This wine is reasonably priced, at €10, and recommended for beef, lamb and game. 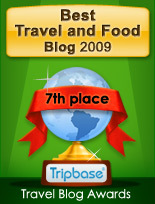 It is produced in Castilla Y Léon in northwestern Spain, bordering Portugal. Made from 100% tempranillo I expected a well bodied and well balanced red wine. It did certainly meet my expectation. Dark red colour, a concentrated aroma of cherries and dried fruit, and it had drawn a distinct oak aroma from the barrel. Very good and certainly worth its price. 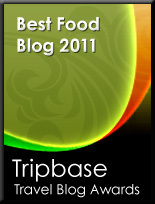 See complete list of wine reviews here on Enjoy Food & Travel - your source to good wine!